It takes a lot of study, sacrifice, education, training, and experience to become a good therapist. When one’s talent and professional merit is recognized, and a therapist is promoted to a supervisory role, it quickly becomes clear that a different skillset is required. Being a good therapist and being a good supervisor are fundamentally different, and without additional training, learning to effectively oversee other therapists can be difficult. Southwest Family Institute’s Clinical Supervision & Leadership Academy is a bridge connecting therapist and supervisor roles, filling in the educational and training gaps, and laying the foundation for a positive, professional, and ethical career. 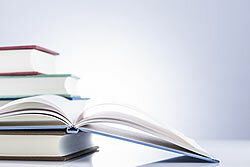 The academy holds two classes annually, limited to 12 participants in each class, takes 12 months to complete, and includes group and one-on-one training, homework, and evaluations. Successful completion qualifies for 50+ continuing education credits (CEUs). The curriculum is designed to meet the specialized training requirements for an Approved Clinical Supervisor (ACS), as currently required in 14 states. New Mexico does not currently require this certification. A secondary, long-term goal of the Academy is to provide New Mexico with a ready-made curriculum, and elevate supervisor credentialing to current professional standards. Ethics are the cornerstone of the counseling profession. They help us respond to challenging situations, in a pre-approved manner, helping to avoid risks, legal liabilities, and unprofessional dynamics. 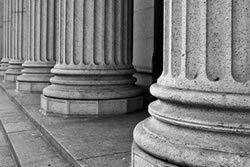 Fully understanding legal and ethical concerns enables the supervisor to best protect supervisees and their clients. To guide supervisors and provide structure for supervisees, three types emerged; (1) developmental, (2) integrated, and (3) orientation-specific models. Determining the model used is at the discretion of the supervisor, based on the needs of the supervisee. People change, personally and professionally, throughout their career. Professional development is a crucial part of this process, as it can help steer a counselor in an organized manner. Supervisors are responsible for offering and suggesting professional development for the supervisee. This can look different for everyone, depending on needs and interests. The supervisor is also responsible for engaging in their own professional development to ensure professional competence. 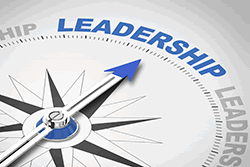 Supervisors provide support, guidance and leadership. 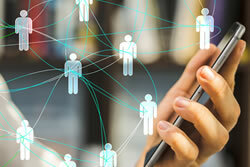 The many methods and techniques employed change based on the needs of the situation. This section provides multiple perspectives and tools available to the supervisor to ensure they are fully equipped to adapt to various circumstances. The supervisory relationship can experience issues with boundaries, unethical behavior, resistant supervisees, competence, and more. In this section, supervisors learn to avoid these issues if possible, and manage them, should they arise. Both novice and experienced counselors are at risk for burn-out and vicarious trauma. Supervisors are responsible for helping their therapists maintain appropriate boundaries, engage in appropriate self-care, and promote in self-awareness to avoid setbacks. Counseling is a multi-faceted phenomenon that involves many variables. One of these variables is the cultural backgrounds of the therapists, clients, and supervisors. The supervisor is responsible for managing any cultural issues. With proper supervision, a therapist’s and clients potential cultural conflicts can be easily addressed within the first session. Group supervision helps therapists offer each other peer input with cases, discuss issues they may be having, and provides a space to feel supported. This type of supervision can be beneficial; it can also be difficult to manage. This section provides the supervisor with the skills to be able to effectively manage group supervision. A supervisor is responsible for the development of the supervisee, as well as providing support when needed. Evaluation informs development, and is a way to identify areas of concern, as well as areas of strength. The Southwest Family Institute provides professional development and training opportunities to therapists on staff as well as to other mental health providers in the community. We conduct regular trainings on a variety of topics, including specific treatment modalities, interventions for particular mental health issues, best-practice standards for treatment of specific diagnoses, and ethical considerations in mental health. Participants in these trainings can NBCC certified CE hours. Agency Founder and President, Dr. Craig Pierce, provides continuing education trainings specifically in interpersonal neurobiology and trauma-informed treatment for clinicians and educators. Our counseling center has several staff who offer trainings in variety of special expertise. Southwest Family Guidance Center & Institute has been approved by NBCC as an Approved Continuing Education Provider, ACEP No. 6888. Programs that do not qualify for NBCC credit are clearly identified. Southwest Family Guidance Center & Institute is solely responsible for all aspects of the programs. The Attunetion® Approach, created by Dr. Craig Pierce, is a simple yet powerful approach designed to positively impact individuals, families, and the world by calling on people to tune in to what matters most. Attunetion® is the crossroads where paying attention and tuning in meet. After many years in the fields of psychology, education, and business, Dr. Pierce has noticed an epidemic of distraction, multitasking, and lack of empathy that is leading to serious negative outcomes for children, families, and out culture. It is not enough to just pay attention to the many pieces of information and tasks that demand and divide our attention each day. We must tune in to what really matters in order to prevent negative outcomes and ensure enriched, fulfilled lives for our children and ourselves. The Attunetion® Approach involves just three steps that can transform your life. Attunetion® means paying attention to the right thing…at the right time…and in the right way. The Attunetion® Approach can be applied to any aspect of life, from parenting to business, health to education. As an expert in parenting and education, Dr. Pierce is presenting the Attunetion® Model to parents and educators in New Mexico and Colorado. Southwest Family Guidance Center offers an internship program for Masters level graduate students in counseling and social work. At this time our internship program is only available in our Albuquerque office. Directed by Claire Kyllo, LCSW, our internship program provides clinical experience in suicide/crisis risk assessment of children and adolescents, office-based counseling with children, adolescents, families, couples and adults, and ongoing individual and group supervision. Our interns also have the opportunity to participate in our Thriving Kids program. Interns are welcome and encouraged to participate in all agency clinical trainings. The internship program at Southwest Family Guidance Center and Institute was instrumental in preparing me for professional practice. My clinical supervisor Claire Kyllo, LISW was instrumental in my professional development, helping me to identify my abilities and support their development. Claire was always there to “lift me up,” with her strengths-based approach, relaxed manner, and inimitable humor. No matter how thorny the clinical problem, Claire cut to the heart of it with insight and wisdom while supporting me in taking a proactive, positive approach. 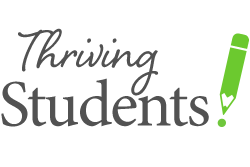 Interning with Southwest Family Guidance Center was an invaluable experience and I cannot recommend it more highly! Raising kids has always been a balancing act. Yet parents today face an unprecedented level of distractions at home and at work that compete for their time and fracture their attention. In the process, today’s fast-paced, hectic world is edging out our ability to be fully present parents, and it’s seeping into our relationships with our children. 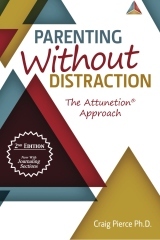 The Attunetion Approach: Parenting Without Distraction provides simple steps to help you pay attention to the right thing, at the right time, and in the right way for you and your children. It’s a book that is as inspiring as it is practical, brimming with real-life examples, and filled with helpful tools from Dr. Pierce’s experiences as the founder of the Southwest Family Guidance Center and Institute. In short, it’s designed to help you focus on what matters most so that you can parent with greater confidence, ease and love. When someone in the family dies, everyone’s world is turned upside down. Getting through the pain of your own loss while having to attend to the needs of your kids, who are also grieving, is an incredible challenge. 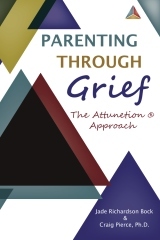 Parenting Through Grief: The Attunetion Approach provides a framework for how to navigate parenting in the shadow of loss. The Attunetion Approach helps you to pay attention and tune into what matters most. With simple strategies to help you connect with your family during this difficult and painful time, Parenting Through Grief: The Attunetion Approach provides the comfort of knowing you can still parent with confidence and love. Valuable resources for youth, parents, families, and clinicians.